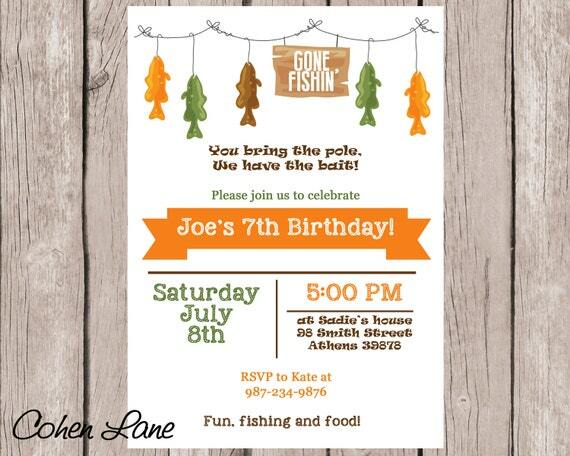 Printable Fishing party birthday or family gathering invitation. 2. Next you will receive an email within 24-48 hours via the email address that you provided or have listed on Etsy (I do try to be really quick). 4. Once approved you will be sent a final copy that is all yours to print. If corrections need to be made, I will send you another copy to proof so that we can get it just perfect. I do all the creating for you!